If you’re familiar with Tula Pink fabric, you know how gorgeous it is. If you’re not familiar with it, you should take a look. Her prints are rich, bright, and bold. My first dive into her lines was the result of a great deal from a member of my guild, and that left me hooked. Her fabrics are so beautiful, and were so far out of my comfort zone, but now, I find myself pulled to each line she releases. I also picked up a copy of one of her books (Quilts From the House of Tula Pinkhttp://www.tulapink.com/quilts-from-the-house-of-tula-pink/ ) , and tried one of the patterns in it – Cloudy Days. I buy my fabric mostly in fat quarters, and while I loved this quilt, the large size rain drops were not fat quarter friendly. 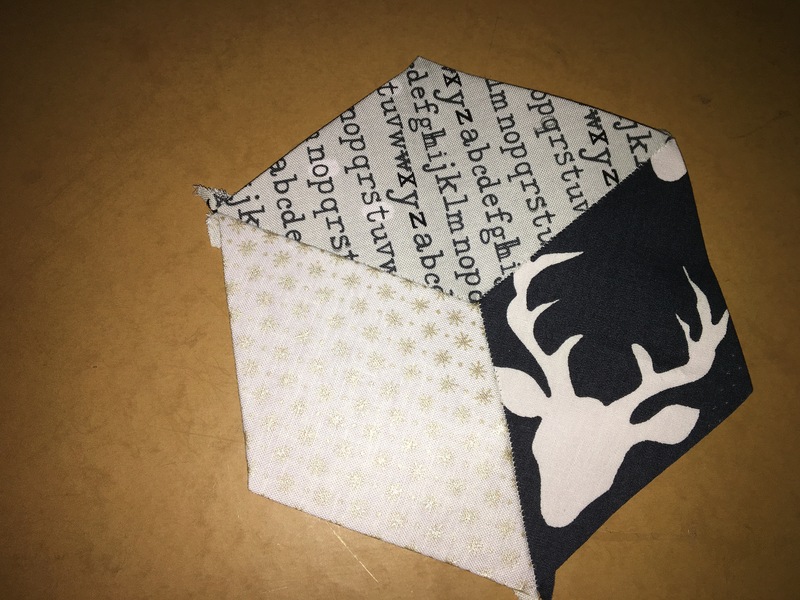 I had a bit of yardage from one of the prints in her line, Chipper, and did manage to squeeze out one large, but the remainder were a mix of medium and small drops. I still love it. Not sure how I’m going to quilt this one, but I think I’ll give free motion quilting another shot on it. I recently discovered a stash of Scrumptious in a local quilt shop. I’m talking a serious stash. Layer cake, jelly roll, and several charm packs. I picked up the layer cake, not quite sure if I would use it, or even keep it. But, it didn’t take long to see why the attraction to this Bonnie and Camille collection is so wide spread. It’s gorgeous. The heart pattern is one widely available for free, and I used the one provided by Cluck-Cluck-Sew. It’s a fast and easy pattern, great for beginners, and my two oldest kids loved making their own. Not sure what they’re going to turn their hearts into, maybe pillows or pot holders, but I turned mine into this. 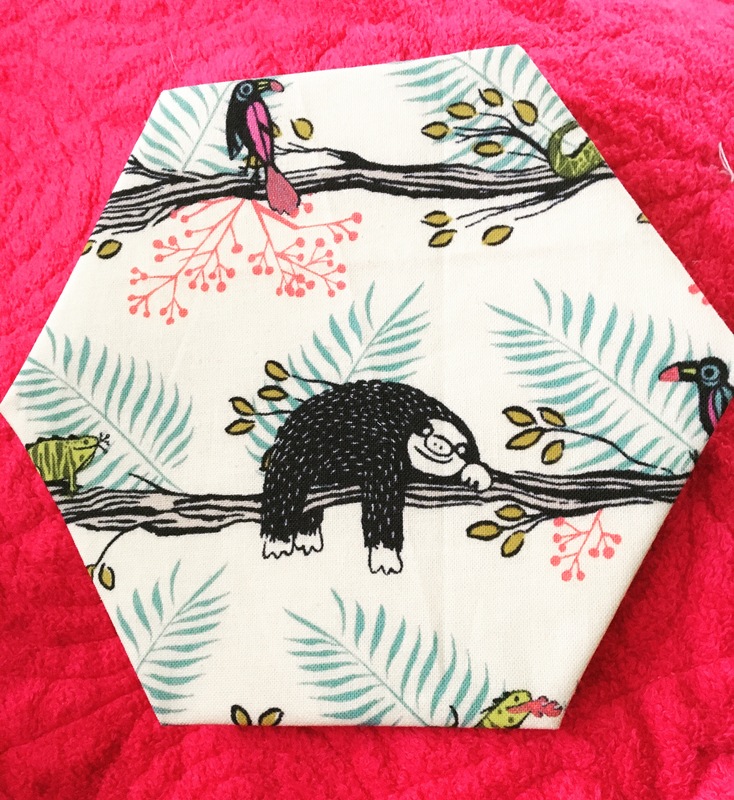 When you first start out quilting, there’s a plethora of resources to gain skills and inspiration from. Some of my favorites are magazines. One of my favorites of those, is American Quilter. Imagine my excitement to open up the latest issue today and see my daughter and her quilt, as well as my quilt, featured in an article in that very publication.